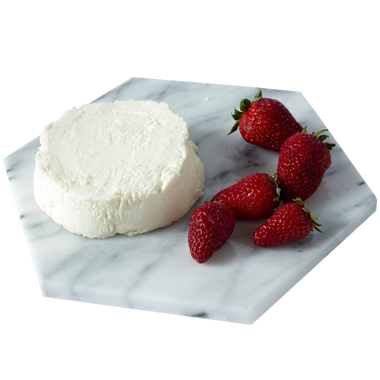 Quark is German for “fresh curd” and Germany is, of course, to thank for first inventing this slightly tart and milky fresh, young thing. In Wisconsin, we value quark for its simplicity and versatility. We like to think of it as a spoon-soft, light and spreadable cross between ricotta and sour cream. Germans and Austrians bake quark into all sorts of desserts and sweet and savory pastries, and we get it. It adds moistness, protein and creamy flavor to whatever you add it to. At heart, quark is a team player – more than happy to go sweet or savory and versatile enough to play either a starring or supporting role. Like cottage cheese, quark is best served chilled or cool unless you are baking or cooking with it. The fresher, the better with Wisconsin quark. Light and bright is the ticket when pairing beverages with Wisconsin quark. Our favorite drinks for it are crisp German and Austrian whites like riesling, müller-thurgau and grüner veltliner but anything light, slightly acidic and off-dry is great. Anything you can do with Greek yogurt, you can do with quark. It spoons, spreads, melts and bakes. In Germany and Austria, quark is cooked into all sorts of desserts and pastries, including cheesecake. We also love to top waffles with it, layer it in parfait and blend it into a lemony chicken salad.